Live close, stay close. With a short commute to work, shopping and dining, you’ll find yourself with even more time to enjoy family. As well as the spectacular amenities of Heritage Hills – pools, playgrounds and tennis courts – and all of South Denver. This friendly, Lone Tree gated community gives you easy access to I-25, C-470, light rail, Park Meadows and the Denver Tech Center. Room to grow a family. Play golf. Swim at the competition-size pool. And explore hundreds of acres of open space. 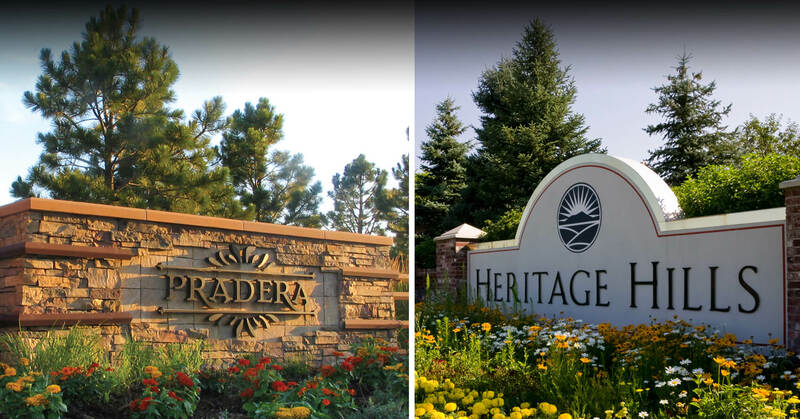 Nestled in the rolling countryside between Parker and Castle Rock, Pradera offers families spacious .6- to 1.5-acre homesites, many of which back to either the golf course or open space. It’s a community known for wide-open vistas – and an open, friendly vibe. JOIN THE INTEREST LIST FOR SALES UPDATES AND INFORMATION. We’ll keep you up-to-date on community happenings and sales information. Please fill out the form below.